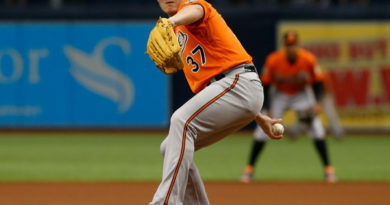 The Baltimore Orioles are going into the offseason with a bunch of issues with their starting pitching. With most of their players returning, pending what happens this offseason, there will be familiar feel to this Baltimore offense. There could be a few additions here and there, as Orioles manager Buck Showalter mixes and matches lineups based on matchups. Welington Castillo has a player option for the 2018 season. If he returns, Baltimore has another strong bat in the lineup. Castillo had a slash line of .282/.323/.490, with 20 home runs and 53 RBI in his first season with the Orioles. The 30-year old played in 88 games as the backstop, but also saw time in six games as the designated hitter. He could test the free agent market or he could continue to be Baltimore’s battering ram at catcher. As for his co-catcher, Caleb Joseph, he made 89 starts behind the plate with a batting line of .256/.287/.413, eight home runs and 28 RBI. Joseph had the 10th best runs above average stat in the MLB (4.7). His pitch framing has been excellent and it will go a long way to correct Baltimore’s pitching staff. First base will be manned by none other than Chris Davis. Davis had another disappointing season at the plate, batting .215/.309/.423, 26 homers and 61 RBI. Davis was third in the Majors in strikeouts (195) and many of them were looking. Next season, Davis will look to get back on the right track by cutting down on his strikeouts and making solid contact. 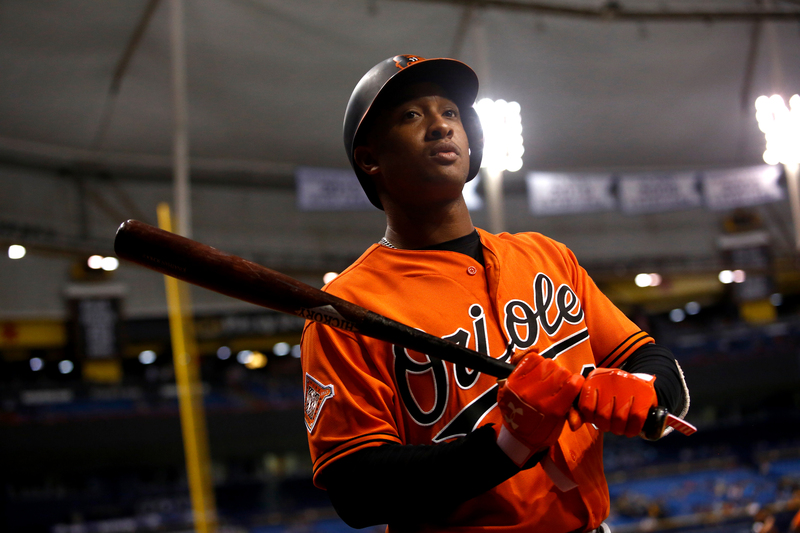 Second baseman Jonathan Schoop had a breakout 2017 campaign, seeing a career-high in batting average (.293), on-base percentage (.338), slugging percentage (.503) hits (182), home runs (32), and RBI (105). The 26-year old built off of a 2016 campaign, in which he played in all 162 games. In 2017, he followed up with 160 games played. He also was the lone All-Star for the Orioles. 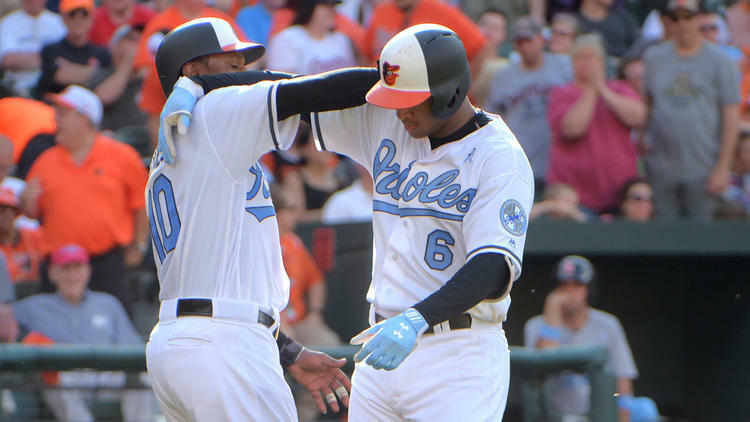 Baltimore acquired Tim Beckham before the trade deadline on July 31. Since joining Baltimore, played 50 games with the Orioles, batting .306/.348/.523, 10 home runs and 26 RBI. He also brought a new element to the Orioles’ offense: speed. Although Beckham stole just one base with Baltimore, his on-base percentage (.348), ability to get doubles (13) and triples (2). The Orioles will need a player to get on-base consistently and for the last two months of the season, Beckham was that player. Manny Machado didn’t have the have the hottest of starts, missing his first All-Star Game in three seasons, and ended up with a .259/.310/.471 line. 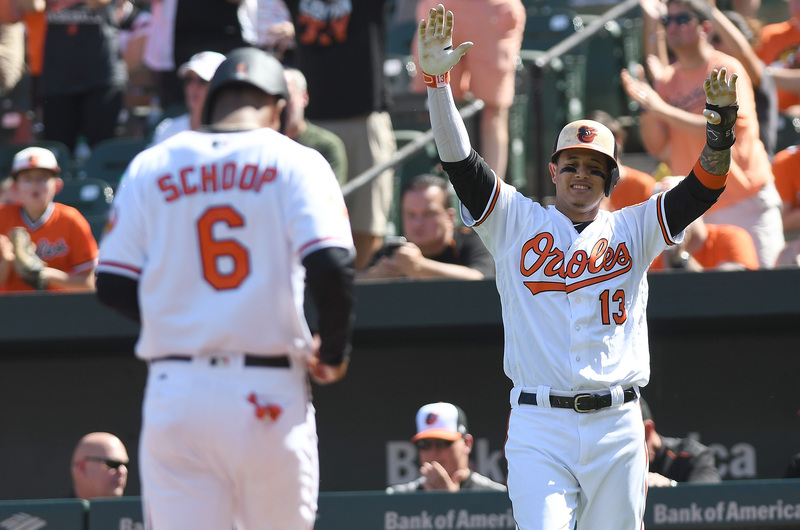 However, Machado finished with the team lead in home runs (33). Now he is in the last year before free agency and in a contract year, it could bring Machado even more motivation to produce. Baltimore has to keep corner outfielder Anthony Santander on the roster for 44 days in 2018, as he was selected in 2017 Rule 5 Draft. As he batted .318 as a left-handed hitter in 22 at-bats, he could possibly be penciled in as the starter. The 22-year old will compete with two other right-handed hitters in Austin Hays and Joey Rickard for playing time. Rickard saw action in 111 games, taking 277 at-bats, slashing .241/.276/.345 with four home runs, 19 RBI and eight stolen bases. He looks to be more of fourth outfielder, unless he proves otherwise during spring training or the season. Hays on the other hand has a small sample size in the majors, batting .217/.238/.317, with one home run and eight RBI. This position will most likely be a platoon between Santander and Rickard, until those 44 days are up. If Santander is successful, he could possibly stick with the platoon. Hays also could force his way onto the roster with his play. They say that wine gets better with age. The same can be said about Adam Jones, who will turn 32 during next season. Jones had one of the best seasons of his career, batting .285/.322/.466, hitting 26 home runs and driving in 73 runs. It was the second-highest batting average of his career and seventh straight season that he hit 25+ home runs. There has been talk that Jones could move to right field in the coming seasons. Jones has been in the negative in defensive runs saved (-10, -12) and ultimate zone rating (-10.1, -13.3) respectively, in the 2016 and 2017 seasons. Hays could eventually move into Jones’ role, but that seems like something that will happen down the line and not in the 2018 season. Trey Mancini played in his first full MLB season in 2017. He continued to show his prowess with the bat, slashing .293/.338/.488, hitting 24 home runs and driving in 78 runs. It was also his first season in the outfield. Mancini saw 90 games in the outfield and played 45 games at first base in Davis’ place. Mark Trumbo couldn’t repeat the strong season that he had in 2016 (slashing .256/.316/.533, 47 home runs, 108 RBI) and saw his numbers drop to .234/.289/.397, hitting 23 home runs and driving in 65 runs. Both Orioles rookies Hays and catcher Chance Sisco need more seasoning down in the minors, particularly Hays. Sisco has shown that he can hit in the big leagues in a small sample size (batting .333/.455/.778, two home runs and four RBI). Though he’s been good, Baltimore has two catchers who can currently hit particularly well and Joseph calls a good game, something that Sisco has worked diligently on. Chances are (no pun intended) that both Sisco and Hays see ample time in the majors next year.